If you have pens you would like to sell or trade, please contact me. I will appraise your pens and make you an offer to buy them outright, sell them on consignment through this website or trade for some of our listed pens. 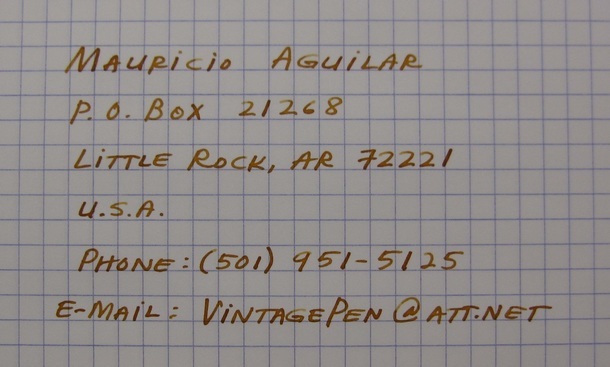 My preference is for vintage pens, such as Parker 51s, Waterman Ideals, Auroras, and pens with all sorts of flexible nibs. I am also interested in nibs and parts as well as broken/damaged pens to be used for parts in the models listed above. To make a fair appraisal of your pens and /or parts, I like to personally check them out and write with them. I do not perform appraisals of pens I have not personally seen or written with.